From electric fireplaces to wood stoves, Napoleon is a leader in the fireplace and outdoor living industry. 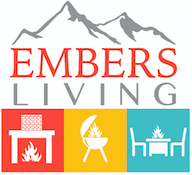 Embers Living has a large selection of Napoleon products including electric fireplaces, gas fireplaces, linear fireplaces, EPA wood stoves, mantel packages and more. With stylish designs and various sizes to fit any home, Embers Living has the products you need to add a special touch to your home. Check out the selection from Napoleon online and find your new fireplace from Embers Living today.